Milan, 13 November 2012 – At Eicma 2012 the Piaggio Group reconfirms its status as main European manufacturer and global player, introducing new products both in the motorcycle and scooter segments. These are products which belong to the most important brands in the Group, brands with a wealth of style and technology such as Moto Guzzi, worldwide ambassadors of Italian Style like Vespa and intense sport brands like Aprilia. The new Moto Guzzi California 1400, Vespa 946, Aprilia Caponord 1200 and Aprilia RSV4 R ABS models, each in their respective segments, represent the cutting-edge of design and technological solutions. Refined style, cutting-edge technology and exceptional dynamic features characterise the new California 1400 in the Touring and Custom versions which represent two distinct models in character and intended use. The new California 1400 is a bike of firsts, starting from the 1400 engine, a record engine size in Europe for a V twin motorcycle engine. The powerful 90° transversal V twin, elastically mounted on a brand new chassis, is capable of producing a torque of 120 Nm at just 2750 rpm. Everything on the California Touring and the California Custom contributes to combining the best of modern and cutting-edge technology with the classic style and elegance of the Moto Guzzi brand: multimap Ride by Wire accelerator, cruise control, the MGCT traction control system and two-channel ABS. Hand built in the Mandello del Lario plant, where Moto Guzzi bikes have been turned out without interruption since 1921, the California 1400 models stand out for the attention to craftsmanship with which each single component is assembled. This type of car makes every Moto Guzzi California a unique piece which is able to match and emphasise the strong personality of a passionate and exclusive clientèle. 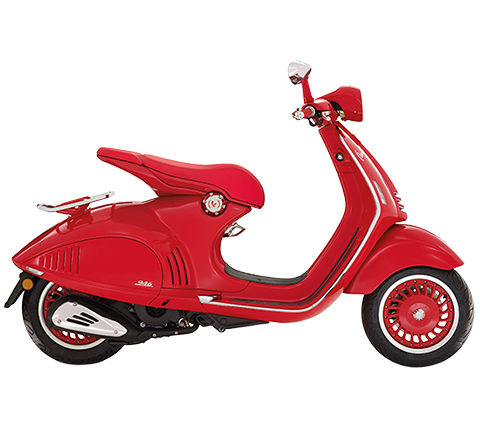 Inspired by the MP6 prototype, the first embryo from which the most famous scooter in the world was born sixty-six years ago, the new Vespa 946 is distinguished by a futuristic style and exclusive construction choices. Distilling the purest essence of those traits which have always marked the aesthetics of individual mobility, Vespa embarks on a new generation where tradition and innovation blend wonderfully. The masterful construction quality and the excellent materials used set Vespa 946 apart from any other two-wheeled vehicle in the world. Style and technology come together in a single body, made from steel and aluminium: 946 is the first Vespa to come standard with the ASR traction control system and antilock braking (ABS). The 125 4-Stroke 3 Valve engine is capable of stellar performance, record fuel economy (up to 55 km/l) and reduces emissions by 30%. One bike for all types of use: this is the concept on which the Aprilia Caponord 1200 project was based. 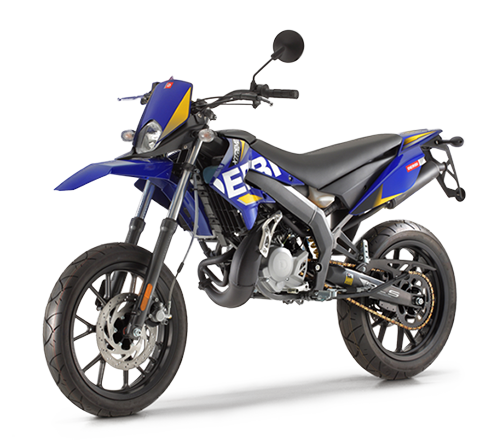 The new large street enduro from Aprilia introduces a highly advanced ADD semi-active suspension system which is capable of automatically adapting calibration to the type of path, asphalt and riding style adopted. The multimap Ride by Wire accelerator, traction control adjustable to three levels and two-channel ABS (which can both be disengaged) represent electronic control features which are the only ones of their kind in the world in that they were developed by Aprilia's racing experience. The 90° V twin engine is a jewel of technology and capable of producing maximum power of 128 HP at 8,500 rpm and above all, a maximum torque of 11.8 kgm at 6,500 rpm. Aprilia RSV4 dominated the recently concluded World Superbike season, winning both the Manufacturer and the Rider titles. The new Aprilia RSV4 R ABS represents the cutting-edge of technology and achieves the objective of perfecting what was already the top of the line in the previous version, loved and appreciated by bikers and riders all over the world. 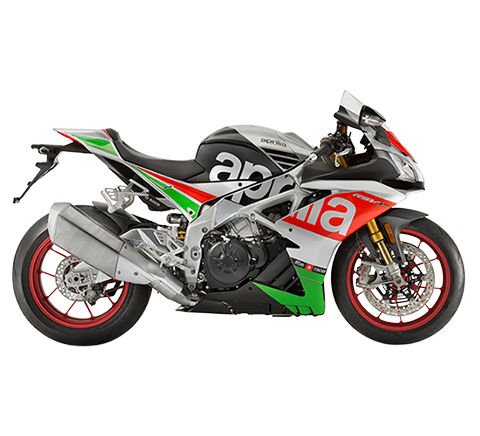 The RSV4 R ABS is the Aprilia entry level version to the superbike world and it adopts all the winning technologies from SBK, such as the exclusive APRC electronic controls suite, developed directly on world competition racetracks. The exclusive 65° V4 engine is now even more powerful (184 HP at 12,500 rpm and 117 Nm at 10,000 rpm); the chassis has a more efficient set-up, the new larger tank has a new shape which provides a better riding feeling, and the new braking system is complete with two-channel ABS, adjustable to three levels and designed to guarantee performance and safety at the highest possible level. The Piaggio Group arrives at the 70th edition of the International two-wheeler Show strengthened by their recent double championship victory in Superbike - which takes the number of world titles to 51 which have been won by Aprilia, the most victorious Italian and European brand of those active in racing, and it takes the overall Piaggio Group collection to 101 titles with all of its brands - and strengthening its position as European and Italian leader in the two-wheeler segment. 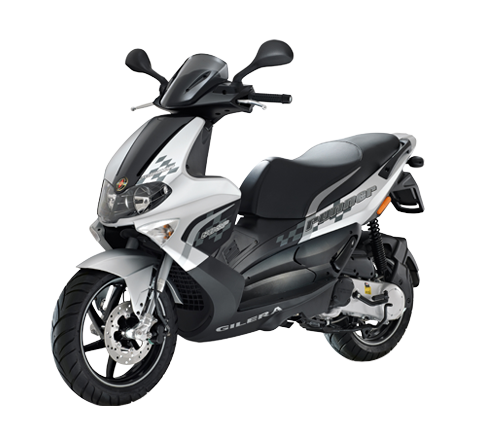 In fact, in the first ten months of the year the Piaggio Group strengthens its leadership in the Italian two-wheeler market, and rose to 30.7% of the overall market share for a growth of 2.8 percentage points with respect to the same period in 2011. 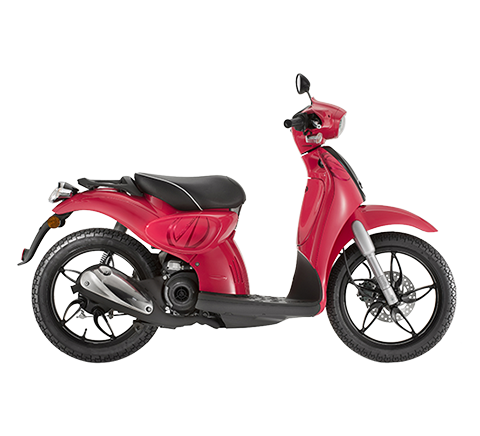 In the scooter segment in fact, from January to October 2012 the Group a market share of 38.7% (+2.7 percentage points with respect to January-October 2011). 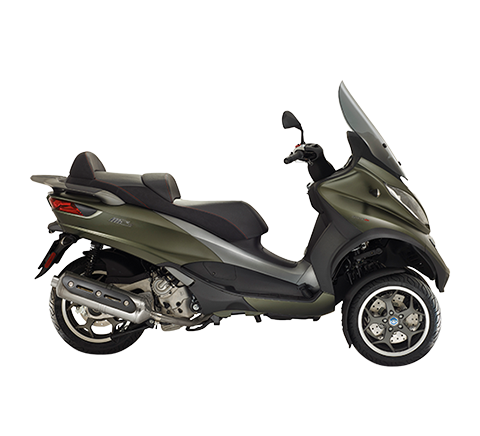 In the Italian motorcycle sector Piaggio Group registered growth with Aprilia and Moto Guzzi of 0.3 points in the first ten months of the year in the over 700cc segment, reaching a 7.6% share for the period of January-October 2012). Last, but not least, as regards the overall performance of the Vespa and Moto Guzzi brands, the Vespa brand registered sales in the first ten months of 2012 at 140,000 units worldwide. This is significant progress with respect to the same period in 2011 and confirms the consistent growth of Vespa sales on a global level, tripled from 2003 to 2011, going from about 50,000 to more than 150,000. This is a record which is headed toward being broken by the end of 2012. 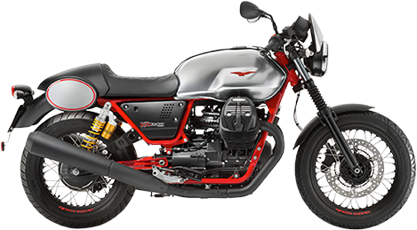 Sales were also up strongly for Moto Guzzi, which registered global sales in the first ten months of the year at 6,000 units with respect to about 5,100 from January-October 2011. This is clear growth against the dropping trend in the European motorcycle sector which repeats the excellent Moto Guzzi performance from 2011: more than 5,800 units sold all over the world for growth of 30% with respect to the 2010 volumes in a market scenario which had overall motorcycle sales dropping 7.3% on a European level.